I spent 16 years as a music journalist interviewing pop stars and writing about music for the likes of Esquire, GQ, Q and The Mail on Sunday. I had to describe the sounds and pick apart the meaning. It was my job to get inside the artist’s head and try to understand what they were trying to say and what led them to try to say it. Music was the outcome and I had to find the root cause. Now it’s the other way around. Music is the beginning, the starting point for everything I’m trying to say. It’s a way to immerse myself in the feelings and emotions and people and places I want to write about. 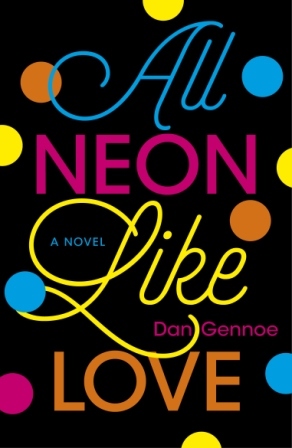 All Neon Like Love is a book about loneliness and isolation, love and obsession, grief and the need to connect with people and the world around us. It’s a book about the need for intimacy, that’s equal parts romance and melancholy. Set in London and Paris it follows a nameless man searching for an ex, a woman so perfect in his memory that she starts to disappear into fantasy. His need to recapture what he thinks they had together leads him to obsessive, at points disturbing, behaviour. I wanted his present day world to be grey and intense and his remembered past with her to be warm and indulgent – so the reader would understand what it was he thought he was missing and would understand, if not approve of, the lengths he went to to recapture it. I wanted the words to be hypnotic and beautiful, for the reader to be seduced by them and then too mesmerised to look away when it was all getting too much. To find all of that I put together a playlist of 148 tracks, ranging from lilting classical piano and lyrical jazz, to dark electronica and industrial beats. Miles Davis, Tindersticks and Bernard Herrmann wouldn’t normally be found on the same playlist, but they all had a profound effect on shaping the mood and rhythm and in maintaining the tone of All Neon. I love film soundtracks and scores, and most of the music that I listen to when I write is either composed for, or I have discovered via, a film – which I guess makes sense given that scores are made to stir emotions and enhance moods. The soundtrack for Tom Ford’s beautifully shot film adaptation of Christopher Isherwood’s A Single Man got particularly heavy use during the writing of All Neon Like Love, not least for the beautifully sad romance of Abel Korzeniowski’s strings. Stillness of the Mind in particular is filled with so much longing, and so much sadness, that it would instantly make me feel all the emptiness that filled the central character’s days as he tried and failed to move on from Sophie, the object of his affection/obsession. And on the rare occasions when Stillness of the Mind didn’t do it, the lightness and longing of Mescaline’s piano, with its tragically hopeful melody, definitely would. Similarly hopeless in its romance, Shigeru Umebayashi’s Yumeji’s Theme from Chinese film, In The Mood For Love, inspired much of the more lyrical passages in the book where the central character is fondly remembering, or perhaps reinventing, days he and Sophie spent together. I wanted the rhythm and flow of the words to lull the reader and allow them to feel the effect of the memories he was reliving, but for there to be a disquieting undercurrent to these sections, to make the reader feel ill at ease with how in love he and Sophie are in his version of things. If it works, it’s largely down to repeat listening of the flawed romance of the violin melody of Yumeji’s Theme. As well as the hypnotic quality, I wanted a dream-like feel to parts of the book, where he gets lost in the perfectness of the remembered affair. Few people do dreamlike romance as well as Goldfrapp, and few Goldfrapp tracks are as perfectly romantic and dreamlike as Let It Take You from their Supernature album. If ever I wanted to know what love felt like in the head of my protagonist, a verse and chorus of that made me know everything. But ultimately, the romance and longing the main character feels are less love and more about his fragile mental state, which is probably why I kept being drawn to Bernard Hermann’s score for Hitchcock’s Vertigo and the track Variation on Scotty Trails Madeline – which in the film soundtracks James Stewart’s Scotty following Madeline, the object of his obsession. It’s a beautifully melancholic love theme with a sense of distance and separation to its restrained strings. There were two piano pieces by composer Erik Satie that I kept returning to when I was writing the passages of the book where the obsession of the central character is starting to fester and grow. Gnossienne No.1 and Gnossienne No.4 both have a desolate calm about them which is exactly how I wanted the character to be at this point. He’s very isolated and distant, with a sort of serenity to him, which like the quiet piano refrains of both tracks, feels like it could take a darker turn at any moment. Soundtracks are a great source for dark moods. Put Your Love In Me from the Tindersticks soundtrack for French revenge thriller Les Salauds, and Clint Mansell’s Welcome To Lunar Industries from sci-fi suspense movie Moon, are eerie and disturbing and claustrophobic and hypnotic and bitter and are about as dark and fixated as anything can be, yet they have a seductive quality that made them easy to get lost in. I would have them on loop for hours at a time when I wanted to darken the tone of the writing and add a discomfort to his thoughts and actions. I wanted the reader to be lulled by the rhythm of the writing yet for there to be a tension and disquiet to it which I hoped would seep into it from these two tracks. Just as important, though, was the sense that obsession was something he welcomed, that it was something he was happy to occupy himself with, that it was something he immersed himself in. So to the mix of dark obsession tracks I added a lighter, more peaceful but no less oppressive track, Scoop Remix by electronic duo ISAN. It’s a strangely clinical yet warm instrumental, with machine noises and lethargic guitars and a beat that seems to grow and envelope. Listening to it I could imagine him slowly giving himself up to his unhealthy obsession and for it being the one thing that he had that he felt totally comfortable with. More than just the backdrop to the story, London and Paris are two of the most influential characters in the book, shaping events and how he views and remembers them. London is a grey, flat, empty place for him, it’s the reality that he doesn’t want to face. It’s endless hours of his own company in an empty Barbican flat. I wanted his London to be shapeless but claustrophobic. I didn’t want it to be grim, I wanted it to be beautiful but endless. Listening to Fila Brazillia’s Subtle Body, with its slowly repeating synth chords, weightless electronic swells and wintery bell chimes gave me his view across a damp and endless London skyline. The otherworldly steel drum loops of First Sleep from Cliff Martinez’s score for Stephen Soderberg’s remake of Solaris, were the source of much of the isolation and loneliness the character feels in the flat. 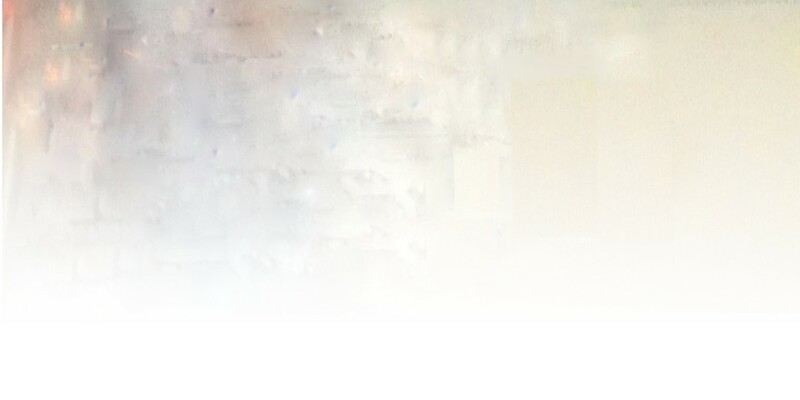 If Subtle Body was him looking out, First Sleep was him bouncing off the walls. That was London in the present. In the past both London and the flat were warmer, happier places – one scene features a drunken seduction as Miles Davis’s So What wafts from the stereo and out into the summer night. Miles Davis also features in Paris, or at least inspired the mood of its rainy late night streets with the track, Générique which he recorded for the soundtrack to French new wave film Lift to the Scaffold. Like everything on that soundtrack it’s got a mournful, listless feel to the languid trumpet line and aimless bass which helped me find the rhythm for central character’s lost nights wandering the city in search of Sophie. And then for when he finds her, I needed a song full of allure and alienation, a Parisian soundtrack for an outsider left lurking in doorways rather than enjoying the candlelit romance. Nothing is more Parisian, alienated or made for lurking than Grace Jones’s I’ve Seen That Face Before. The sinister reggae lilt, the lonely accordions and Grace singing of shadowy figures and dancing in bars and restaurants, conjure the emptiness of being on the outside of the perfect romantic scene, which in essence is what the whole of All Neon Like Love is about.